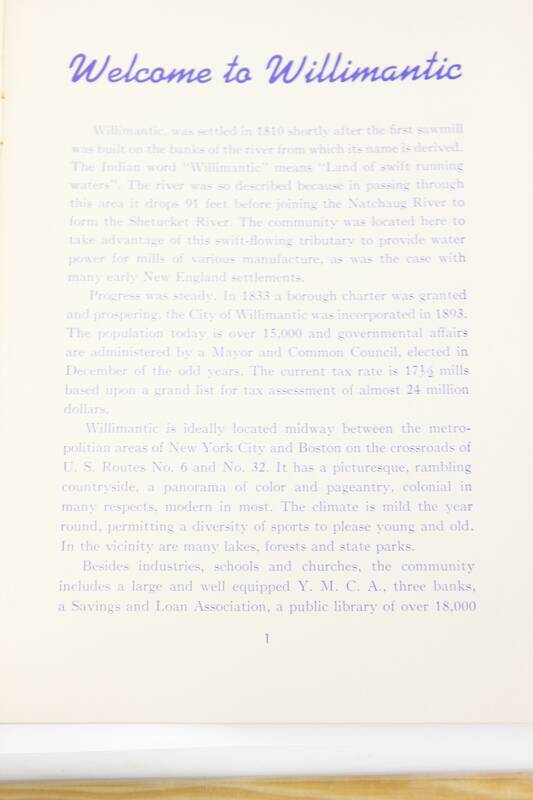 This amazing, estate-fresh booklet is coming to you from a rare collection informational booklets and pamphlets. 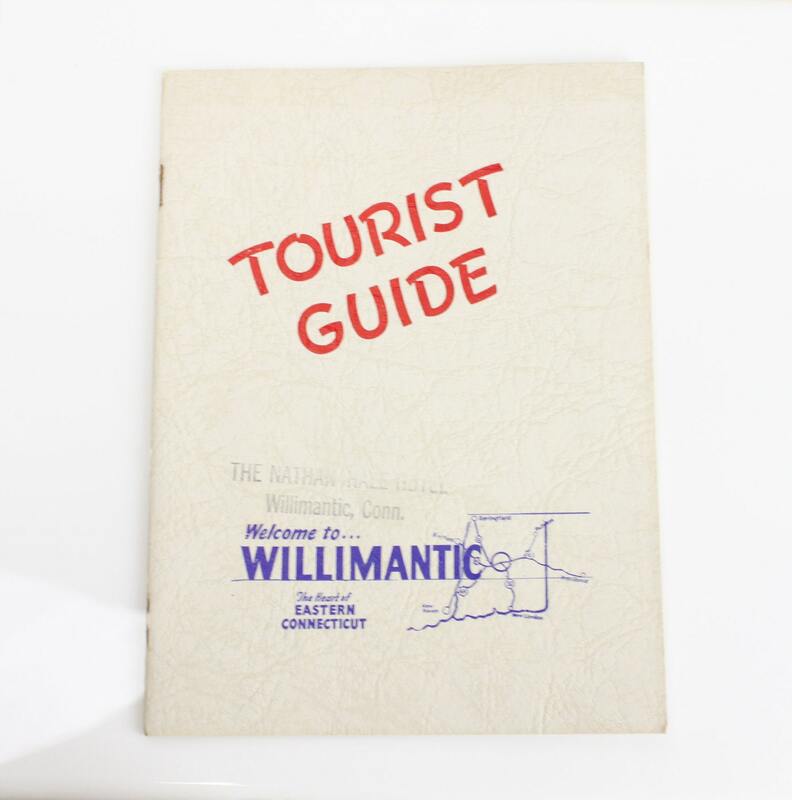 This vintage tourist guide was produced by the chamber of commerce and highlights all the main tourist points and history of the town of Willimantic, CT. 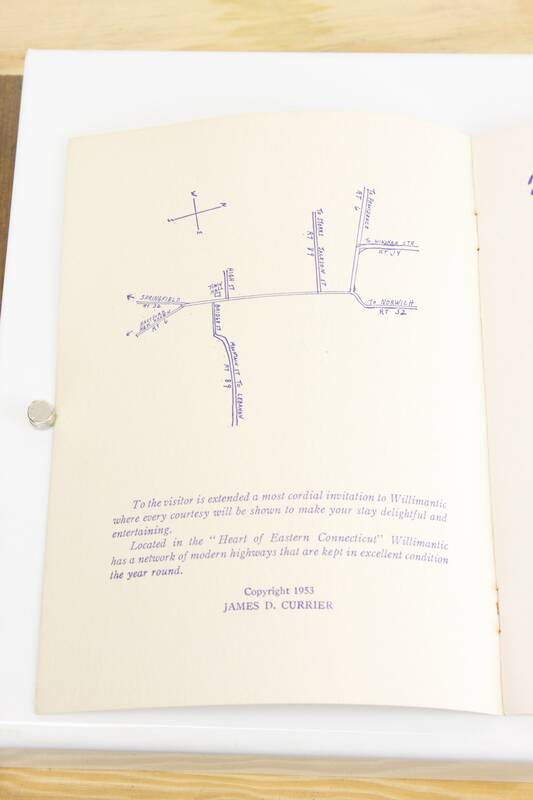 Learn all you need to know about Frog Bridge - Look it up and you're welcome! 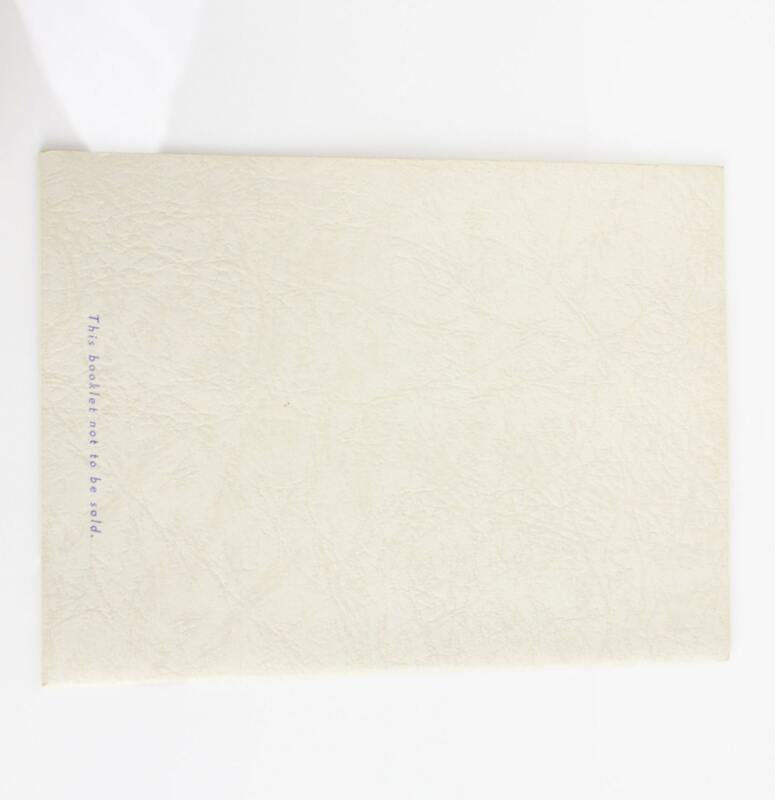 - Size: 7.5" X 5.5" & 1/8"